Looking for a Used Suburban in your area? CarGurus has 21,582 nationwide Suburban listings starting at $1,995. Believe it or not, some folks still find the need for a full-size, body-on-frame SUV. For larger families, for instance, or perhaps heavier trailer-towing duties, Chevrolet offers its redesigned, next-gen 2015 Suburban. Along with its Tahoe and Silverado lineups, the new Suburban offerings flaunt a number of exterior upgrades, some new safety equipment, updated techno-goodies, weight-shedding aluminum hood and liftgate panels, and a reworked V8 powerplant. Also among the improvements to this year’s edition is a fold-flat third-row seat that replaces the previous generation’s hassle-laden removable version. Unfortunately, however, what this upgrade gains owners in convenience costs them in cargo capacity by reducing the way-back cavern from its former 137 cubic feet to a “mere” 121.1 cubic feet with those rear 2 rows of seatbacks folded. Anyhow, it’s expected that the 2015 Suburban lineup will again include 3 trims, the base LS, the up-featured LT and the flagship LTZ. Also returning will be available on-demand 4-wheel-drive (4WD) that can replace, if needed, the standard rear-wheel-drive (RWD) configuration. It’s expected, as well, that 4WD capabilities will again be further subdivided into either the off-road-ready, hi-lo gearing part-time mode or the less all-terrain-capable automatically engaged single-gear all-wheel-drive-style (AWD) system suitable for slippery highways and byways. For 2015 the Suburban will be delivered with the traditional 5.3-liter variable-valve-timed (VVT) V8 powerplant, but this peppy 8 has been tweaked for this year’s iteration to put out 355 hp and 383 lb-ft of torque. The 6-speed shiftable automatic transmission returns with a tow/haul mode and automatic grade braking, while towing capacity is maxed out at 8,300 pounds with the optional trailer towing package installed. Mileage figures for the redone powertrain are, at this early date, not yet available. Additionally, rumors are swirling that a new 6.2-liter V8 engine (replacing the old 6.0-liter V8) may be made available to the Suburban lineup later in the 2015 model year. 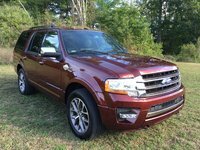 In any case, look for the base LS to come with 17-inch alloy wheels, step running boards, a trailer hitch, heated power mirrors and a roof rack gracing the updated profile, with premium cloth upholstery, power-adjustable front seats and full power accessories again adorning the cabin. Cruise control and tilt-wheel steering should again be standard, as should power-adjustable pedals, a rear-view camera, rear parking sensors and Bluetooth-bolstered OnStar Directions and Connections service. Leather and simulated alloy cabin accents should once more complement dual-zone climate controls, while the single-CD player is expected to once again boast 6 speakers, satellite radio and separate rear controls. Look for the LT to add leather-trimmed upholstery, heated front seats, tri-zone climate control and a 9-speaker Bose premium audio system, while the top-shelf LTZ should toss in a new-for-2015 adaptive suspension, 20-inch polished alloy wheels, premium leather, a remote garage door opener, memory for driver's settings and 10 Bose premium speakers. Oh, and the high-end LTZ trim is also expected to come with an improved hard-drive-based navigation system featuring an upgraded 8-inch touchscreen display. Options, meantime, should once again run the gamut from a power sunroof to rear-seat DVD entertainment to 21-inch alloy wheels to a load-leveling suspension and, of course, various seating configurations for up to 9 occupants. All availability is, of course, dependent on the trim selected. Finally, standard safety equipment expected aboard the 2015 Suburban includes 4-wheel antilock brakes (ABS), traction and stability control, 3-row head airbags and front side-mounted airbags. As mentioned, a new center airbag should keep driver and front passenger from knocking heads, while daytime running lights, OnStar emergency alerts and communications, and a post-collision safety system are all standard as well. The LTZ should return with standard turn-signal-integrated mirrors and front fog/driving lights, while all trims will now become eligible for optional or standard lane-departure and blind-spot warnings, adaptive cruise control, forward collision alert and a brand new security system with motion and glass breakage sensors. Look for the 2015 Chevy Suburban to be on showroom floors in the early summer of 2014. 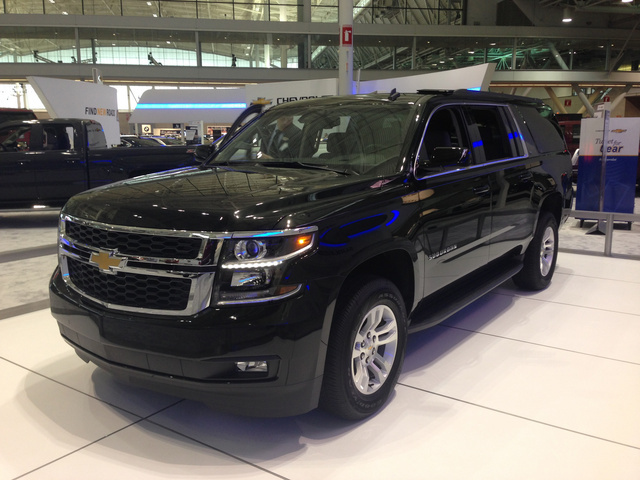 What's your take on the 2015 Chevrolet Suburban? Users ranked 2015 Chevrolet Suburban against other cars which they drove/owned. Each ranking was based on 9 categories. Here is the summary of top rankings. 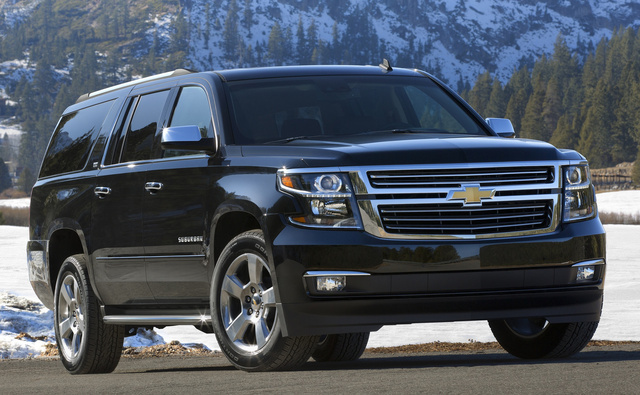 Have you driven a 2015 Chevrolet Suburban? Looking to swap my 2nd row power folding, black leather 60/40 bench seat for captain chairs/ bucket seats on my 2015 chevy suburban LT.